The Signal recently sat down with freshman Morgan Jackson of the women’s basketball team to get her take on Georgia State, baking and aliens. Here is what the Gainesville, Ga. native had to say. 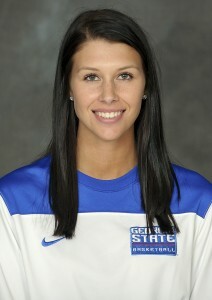 Morgan Jackson of the women’s basketball team. Photo courtesy of Georgia State athletics and Paul Abell.